The sky is pink and purple as the sun sets across a mid-western wetland. Scattered dead trees emerge from a mirrored water surface, their bark peeling and curling from them as they decay. A soft chattering echoes briefly. Songbirds call from the surrounding forest, then soften, and then are silent. No longer muted, the chattering resumes, and as the pink dusk sky dims to gray, tiny brown bodies flit from the dead trees in groups of three or four. A farm house can be seen far in the distance, humanity far removed from this protected place. For those of us who have an interest in bat conservation, this image of an undisturbed protected sanctuary for bats is a dream. While many cave sites have been protected for decades, there are limited areas in the range of the Indiana bat designated solely for summer habitat of bats (e.g. Sodalis Nature Preserve in Missouri, Sodalis Nature Park and mitigation associated with projects in Indiana), and bat researchers and conservationists have been dreaming of the concept of a range-wide standardized mitigation of Indiana bat habitat for years. As of July 25, 2017, USFWS has begun to allow an In-Lieu Fee (a method of compensatory mitigation for damages to the environment) as an option to offset damages to Indiana bat habitat. Initially used for the Section 7 consultation for dealing with highway, airport, and railway construction, this In-Lieu Fee has been opened up for use by private companies to address unavoidable impacts to the Indiana bat. As with all projects with potential “take” of protected animals, avoidance and minimization are the preferred options prior to mitigation, but now this third option has been formally codified and made available to states with Indiana bat Conservation Focus Areas (CFAs). There are two stages of the new mitigation strategy: what the user does as part of the In-Lieu Fee prior to mitigation, and how the mitigation site is created and maintained. Mitigation does not begin immediately. 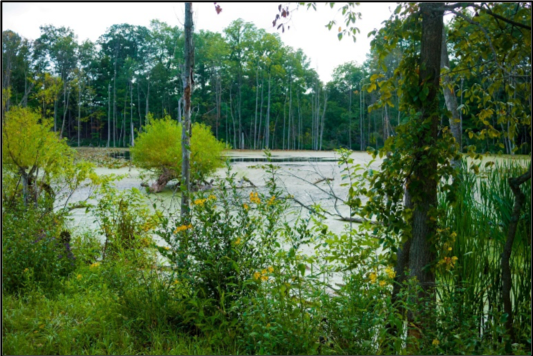 The smallest size that a mitigation site can be is 50 acres, and therefore TCF will not begin asking for proposals from conservation organizations until banked funds can pay for at least 50 acres of land. Additionally, each state has a different fee per acre, primarily determined by United States Department of Agriculture (USDA) land value. Once established, new mitigation sites will focus on promoting long-term preservation of occupied Indiana bat habitat in pre-established Conservation Focus Areas (CFA), but may also promote restoration of degraded habitat. Information about permanent site protection. 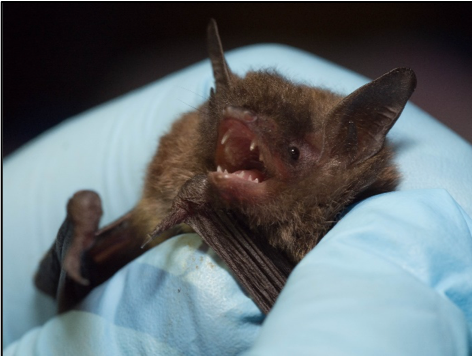 If occupied Indiana bat habitat is being preserved, USFWS officials will confirm the habitat meets requirements for Indiana bats, and then the site will be transferred to a long-term steward, such as a conservation land trust. Preservation of known maternity habitat is ideal. If the Indiana bat habitat is being restored, each mitigation site will have a Performance Period between seven and 10 years after restoration. Monitoring will begin 30 days after restoration completion, then checked at year three and year seven. If at year seven the restored site meets Performance Criteria, the site can be transferred to the long-term steward. If not, an Adaptive Management Plan will be implemented to meet the Performance Criteria, and hopefully at year 10 the site will meet those, and then be transferred to a long-term steward. Problem sites will be dealt with on a case by case basis. Mitigation specifically for Indiana bats has been a dream of bat enthusiasts for many years. With this new In-Lieu Plan, mitigation will be a more accessible option for companies that may not be able to avoid impacts to Indiana bats, and will give conservation organizations an avenue to procure funds to create mitigation sites just for bats. Land-trusts can then become the long-term stewards of these sites. With time, undisturbed prime Indiana bat habitat will be paid for, owned and managed across the range of the Indiana bat.